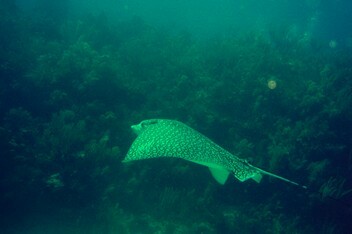 This is a Spotted Eagle Ray. 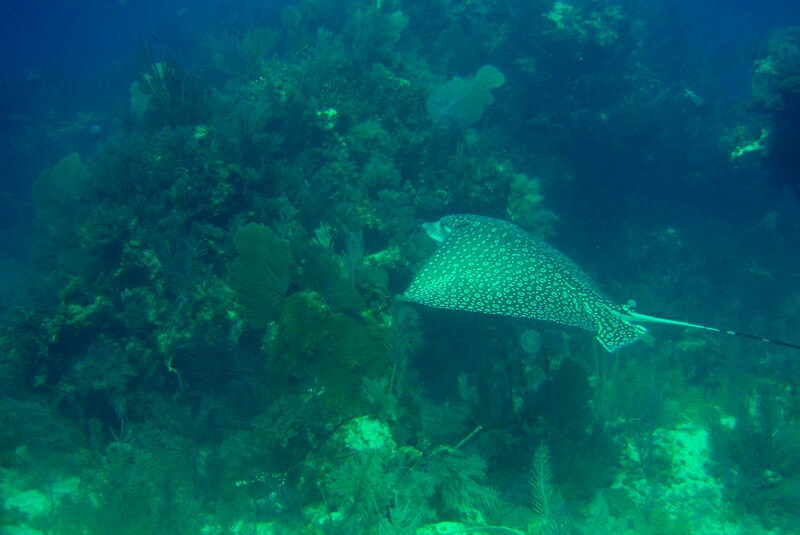 Photo by Rod (full size picture) taken at North-North Dry Rocks, Key Largo, FL 17 March 2009. Features: 1: Numerous white spots and circular markings over dark back. White underside. Pronounced head with flattened, tapered snout. 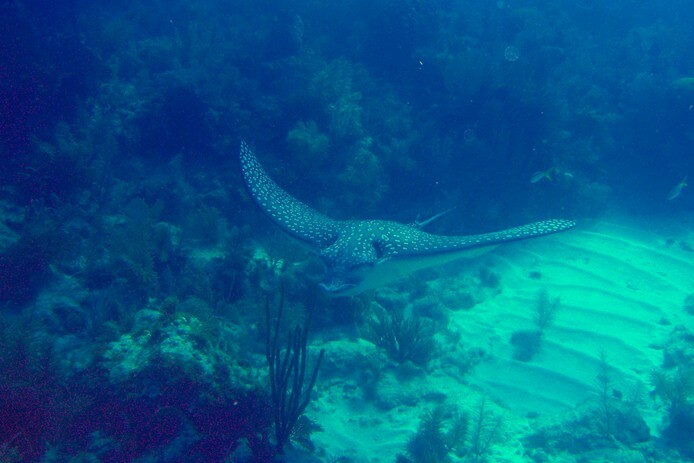 Long thin tail with one to five venomous spines at base. * size refers to wing-tip to wing-tip. 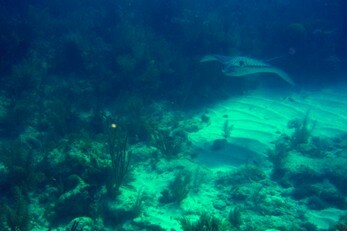 Specimin above appeared to be about 6 feet across.